"The Life and Afterlife of a Ukrainian Nationalist" is the first comprehensive and scholarly biography of the Ukrainian far-right leader Stepan Bandera and the first in-depth study of his political cult. 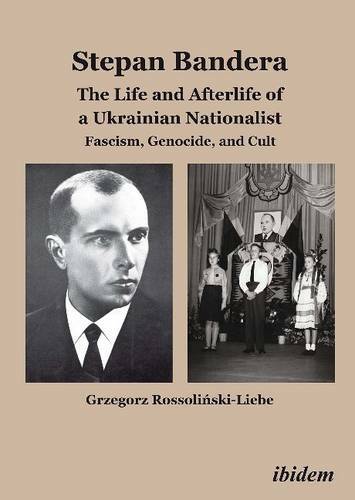 In this fascinating book, Grzegorz Rossolinski-Liebe illuminates the life of a mythologized personality and scrutinizes the history of the most violent twentieth-century Ukrainian nationalist movement: the Organization of Ukrainian Nationalists and its Ukrainian Insurgent Army. Elucidating the circumstances in which Bandera and his movement emerged and functioned, Rossolinski-Liebe explains how fascism and racism impacted on Ukrainian revolutionary and genocidal nationalism. The book shows why Bandera and his followers faileddespite their ideological similarity to the Croatian Ustaa and the Slovak Hlinka Partyto establish a collaborationist state under the auspices of Nazi Germany and examines the involvement of the Ukrainian nationalists in the Holocaust and other atrocities during and after the Second World War. The author brings to light some of the darkest elements of modern Ukrainian history and demonstrates its complexity, paying special attention to the Soviet terror in Ukraine and the entanglement between Ukrainian, Jewish, Polish, Russian, German, and Soviet history. The monograph also charts the creation and growth of the Bandera cult before the Second World War, its vivid revivals during the Cold War among the Ukrainian diaspora, and in Bandera's native eastern Galicia after the dissolution of the Soviet Union.